To celebrate the opening of our new flagship office in Glasgow, we are hosting a networking event to inspire the local digital and business community. 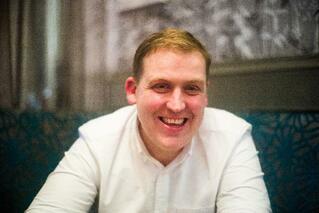 Neil is passionate about the positive impact technology can have on the economy and works hard to drive this forward. In addition to being CEO of Incremental Group, he is one of the founders of The Data Lab and is its Chairman. He is also an active member of the Scottish Governments Technology Advisory Group (TAG), an initiative tasked with preparing and delivering an industry lead strategy for the Technology sector in Scotland. Earlier this year Neil became Vice Chairman of the ONE Digital sector board, one of five sector boards that form the private sector economic development body Opportunity North East (ONE). 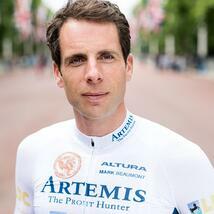 Mark Beaumont is a record-breaking long-distance British cyclist, adventurer, broadcaster, documentary maker and author. He holds the record for cycling round the world, completing his 18,000-mile route on 18 September 2017, having taken less than 79 days. Mark shares inspiring stories of his journeys and helps businesses to improve performance. His events and books about ultra endurance and adventure have taken audiences to over 100 countries. Outside of sport and broadcasting, Mark is a business ambassador and speaker, as well as working with a number of charities and educational organisations.